The Multicultural Leadership Group is excited to announce this year’s outreach program! 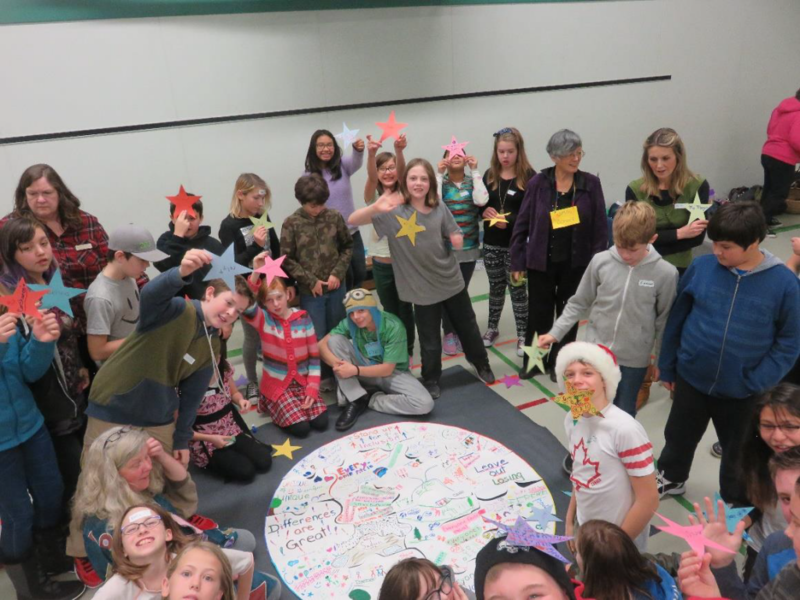 The Youth Ambassador (YA) “Welcome New Neighbour” group trained 22 youth and seven adult mentors to co-facilitate an anti racism/discrimination curriculum, “Standing Up for Inclusion,” for over 240 children, Grades 5-7, at local elementary schools. The YA project focuses on supporting all students, with some attention given to increasing acceptance among peers for the Syrian refugee children and other newcomers, to help these students feel welcome, to experience safety, respect and inclusion, and to reduce incidents of racism and discrimination that lead so many children and youth to feel excluded and socially isolated. “Being a part of the youth ambassador program made me realize how blessed I am to be fortunate to share my personal experiences with other children around the Cowichan Valley. I will always remember this amazing opportunity I had to share knowledge about diversity.